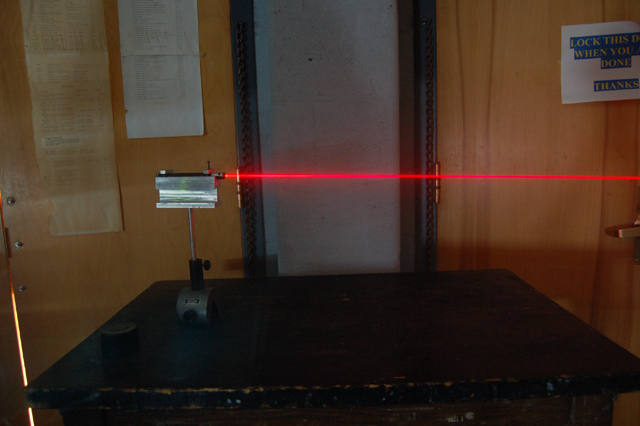 Description: This demo shows the linear nature of a laser beam by clapping a blackboard eraser near it. This can also be done with a can of compressed air (fog in a can will work too). 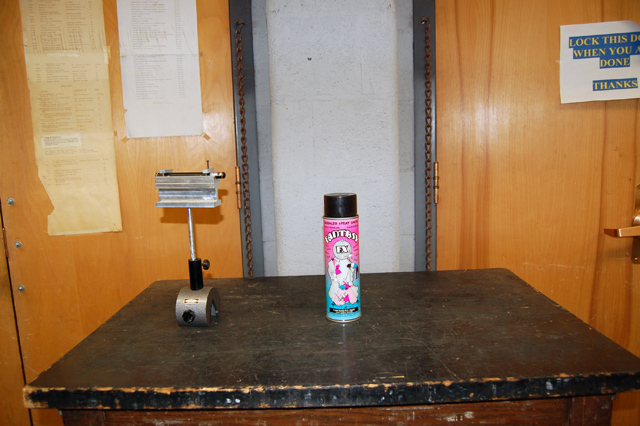 Spray some compressed air in front of the laser, or clap a black board eraser in front of it. Note that you can now see the laser beam because the laser light is scattered off the particles and enters your eyes. When finished, turn off the laster.